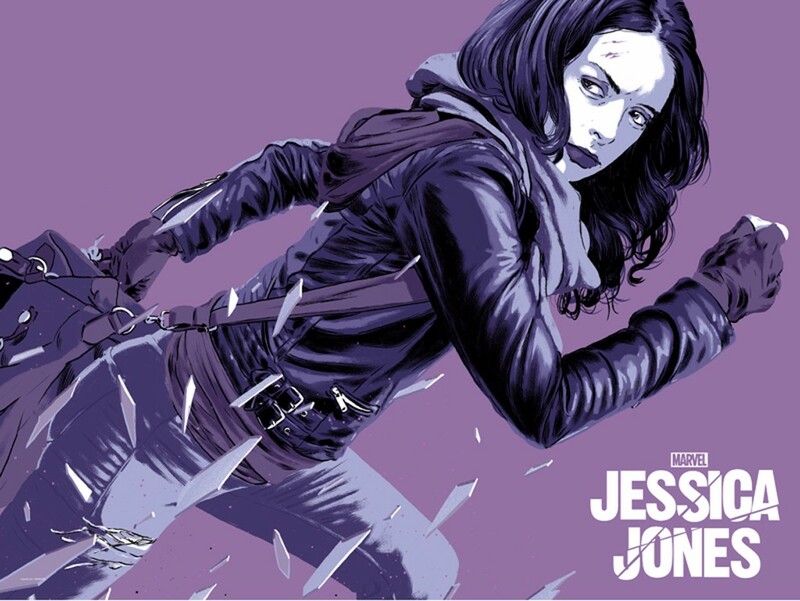 When Mondo first saw Matthew Woodson’s beautiful artwork for the Luke Cage, Daredevil and Jessica Jones vinyl soundtracks, they knew that they’d make for an awesome poster set. 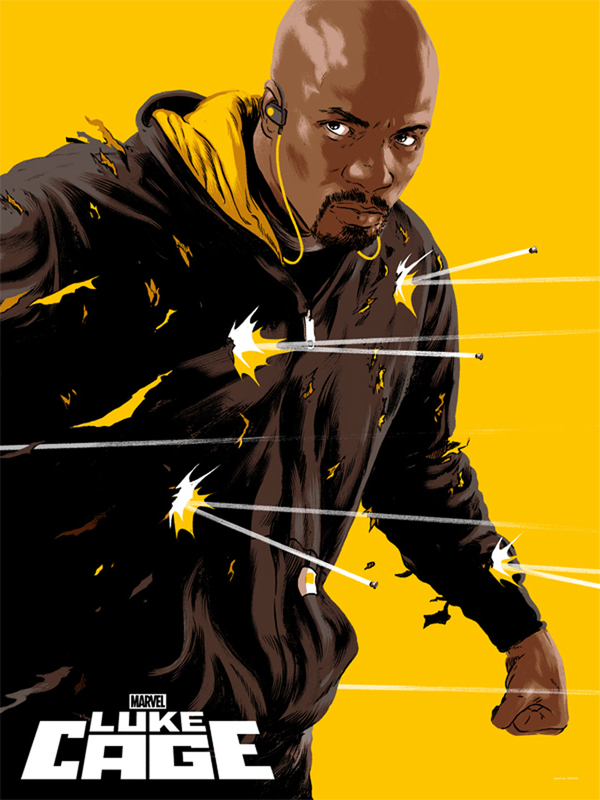 Tomorrow Mondo will have the The Defenders available as screen prints, each featuring a layer of spot varnish to bring different elements of the illustration to life. 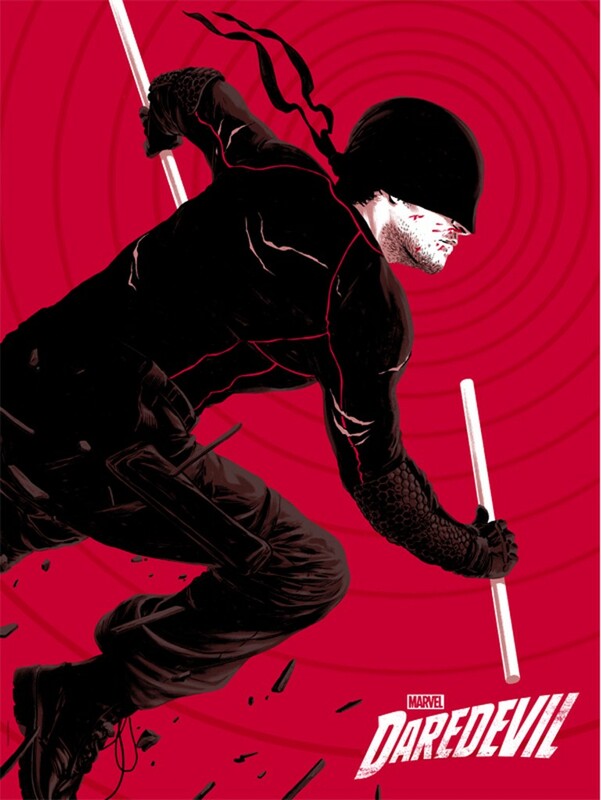 You can pick up the posters at a random time tomorrow (11/10) via mondotees.com.